Concours ISSEA TSS 2019-2020: Senior Statistical Technicians (S.S.T). Techniciens Supérieurs de la Statistique. ORDER N° / 001211 MINFOPRA OF 27 FEV 2019.
of decree No.2011/410 of 9 December 2011 to form the Government. 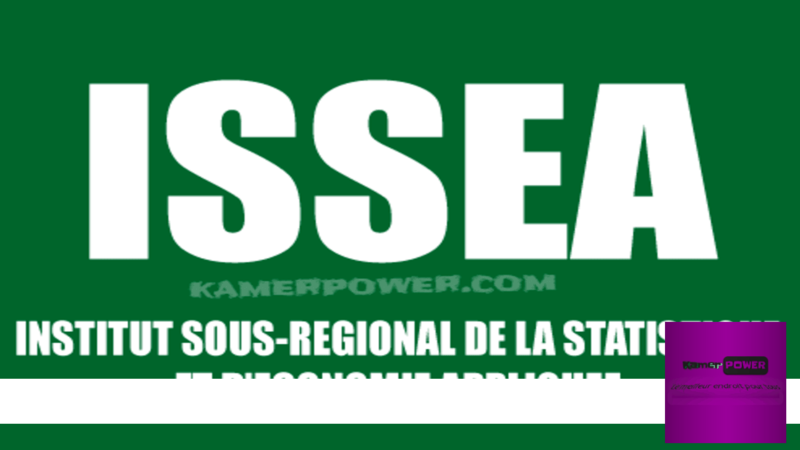 Concours ISSEA TSS 2019-2020: Senior Statistical Technicians (S.S.T). A training competitive examination has been announced to recruit twenty-five (25) Student Senior Statistical Technicians (S.S.T) for the 2019-2020 academic year. The written part of the competitive examination shall take place on 11 and 12 May 2019 in Yaounde, the only examination centre. Be at least 17 or at most 29 years of age as at 1st January 2019 (born between 01/01/1990 and 01/01/2002). Be holder of a Baccalaureate Diploma of General Secondary Education, series C, D, E or the General Certificate of Education Advanced Level (GCE-AL) in at least two science subjects excluding Religious Knowledge, or any other recognized equivalent diploma. Be a Statistics civil servant and holder of a diploma of Assistant Statistical Technician issued by a recognized school of Statistics. Be at least 17 or at most 40 years of age as at 1st January 2018 (born between 01/01/1979 and 01/01/2002). Have acquired at least two (02) years of professional seniority in this grade as of 1st January 2019.
a certified true copy of birth certificate signed bv a recognized civil authority (Govemor, SDO, DO, Mayor) not more than three (03) months old. a certified true copy of the Baccalaureate Diploma or GCE-AL signed by a recognized civil authority. a medical certificate issued by a public sector Medical Officer, not more than three (03) months old.